Why is a breast cancer organization working on what some people consider a climate change issue? Because fracking and dangerous drilling threatens our health, as well as the planet. 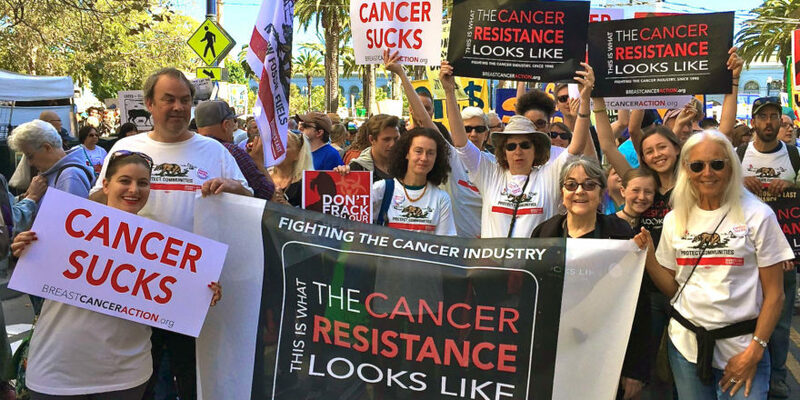 Join us in calling on California’s Governor Jerry Brown to put the health and well-being of people over the profits of big oil and gas companies. Tell Gov. 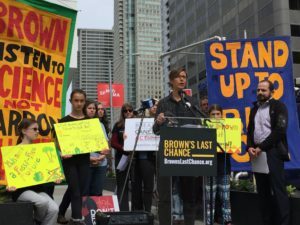 Brown to stop the expansion of the fossil fuel industry and end toxic extraction processes before he leaves office next year. Because California is both the third-largest oil-producing state and the leading food-producing state, strong protections here can benefit millions more beyond California’s state lines. Oil and gas workers and nearby residents, often low-income and people of color, have higher cancer risks, increased asthma attacks, higher hospitalization rates, and more rashes and upper respiratory problems. In our interconnected world, everyone is at risk of exposure to the toxic chemicals used by oil and gas industries when they contaminate the air we breathe and the water we drink. And we know that our involuntary exposure to these toxic chemicals can increase the risk of breast cancer. It’s long past the time to act on what we know. That’s why we’re proud to be one of a core group of organizations leading more than 800 environmental, labor, health, and social justice organizations from around the globe in demanding that Gov. Brown do the right thing and take a bold step to protect our health. Join us in calling on Gov. Brown to ban all new oil and gas infrastructure and protect the health of people across the country.